It is a South Korean term that literally translates to "best face" characterized by flawless skin, pinkish baby-soft lips and huge doe-like eyes. The achieved look would be natural look of innocence. If you noticed, most kpop groups have very "light" makeup! No bronzer. notice they have straight thick eyebrows that will make them look more youthful. Perfect complexion and nice simple eyes. Thanks to Jurong Point, Faceshop and SPH, i get to attend this wonderful event. I brought my cousin along with me as well! this cc cream is very nice and will make your face look dewy. Will do a review on it soon! 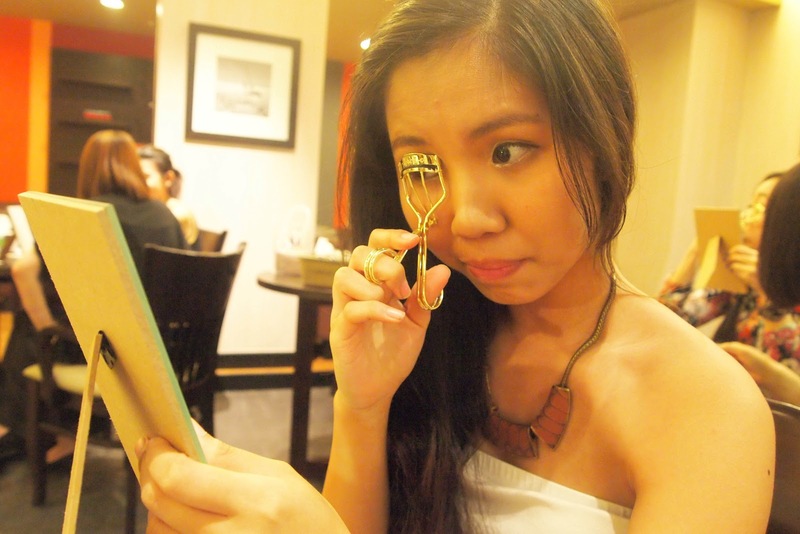 concealer time! there are two ends. The stick and the cream one. Use the concealer stick for better coverage and use the liquid one for delicate areas like around the eyes. put on loose powder to set the foundation! it has a little shimmer to it to make your face glow. time to draw your straight brows! Love that they have an angled shape to make the application easier. here is Miyake helping me to draw one side! Now i have straight eyebrows whoop. 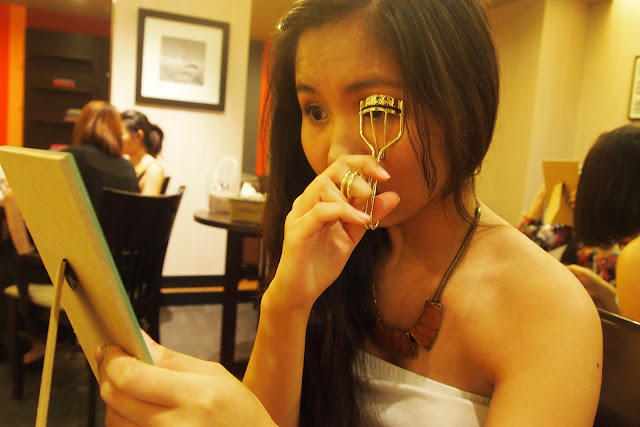 my cousin, Sze Yee putting eyeshadow. Use neutral shimmer shades. as you can see my eye makeup is almost compete! Curling my lashes in progress. 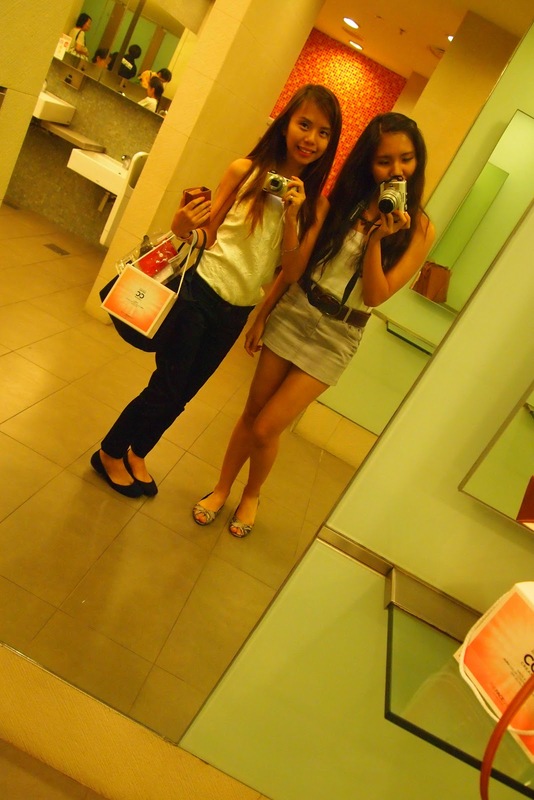 With Noelle! Miss her a lot a lot. Last picture with my sweet cousin. Can't really show you a detailed makeup tutorial here so i would be most likely uploading a video on how to do Ulzzang makeup inspired by Miyake and a little of my style during June so do stay tune! 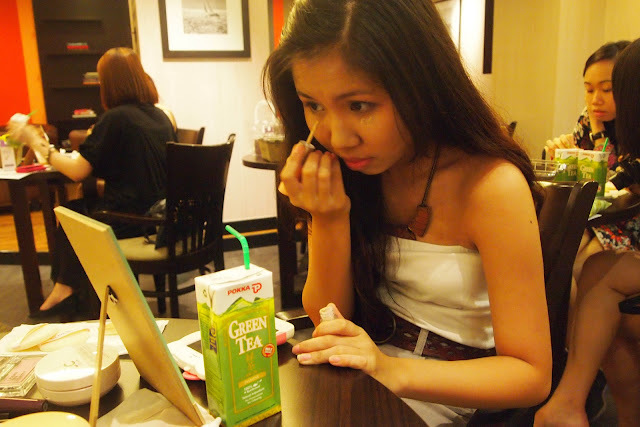 Wanna learn how to do Ulzzang? Join the workshop here by registering at Jurong Point's Facebook Page. Do visit their website too. It's on 1 June at Oasis Lounge #02-41 ( JP 1 ) , 4pm.